IIASA continues to strengthen the knowledge and abilities of researchers in systems analysis. The Young Scientists Summer Program and Postdoctoral Programs in particular provide vital capacity building. The flagship Young Scientists Summer Program (YSSP) at IIASA continues to train the young researchers of today to find the solutions of tomorrow. 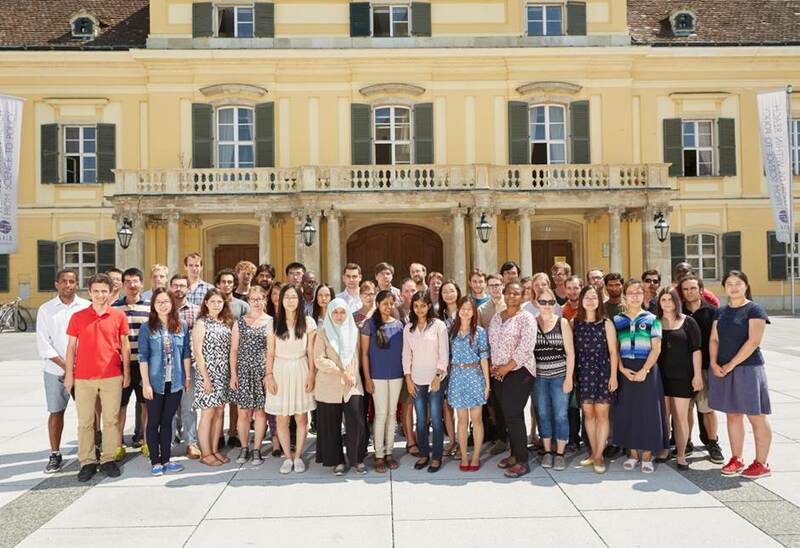 50 graduate students from 26 countries spent the summer of 2015 in Laxenburg to work on their research projects in IIASA programs. In total over 1,800 YSSP participants have benefited from the opportunity to work at IIASA with some of the leading scientists in their fields. Since its launch in 1977, participants of the program have gone on to achieve high positions in science, business, and governments around the world. Winter 2014/2015 also saw the third successful year of the Southern African Young Scientists Summer Program (SA-YSSP), a regional expansion of the YSSP. 36 students from 21 countries took part in the program at the University of the Free State in Bloemfontein. In 2015 Carlijn Hendriks won the Peccei Award, given for rigorous research during her time in the Young Scientists Summer Program. A PhD student at the TNO (the Dutch Institute for Applied Sciences), Hendriks won the award for her paper “Impact of EU climate and air quality policy on future ground level ozone concentrations and damage in Europe.” Hendriks came to IIASA as a participant of the Young Scientist Summer Program and worked in the IIASA Mitigation of Air Pollution and Greenhouse Gases Program (MAG). Zhimin Mao, a PhD student at the Pardee RAND Graduate School and an assistant policy analyst at the RAND Corporation, received an honorable mention for her paper on: “Evaluation of costs and effectiveness of Pearl River Delta’s Air Pollution Reduction Action Plan.” Mao also spent her summer in MAG. The Mikhalevich Award, given to students who use mathematical tools to solve real-world questions, was awarded to Celian Colon of France for his study, “Systemic risks and cascading disruptions in complex supply chains,” with the IIASA Evolution and Ecology Program (EEP). An honorable mention went to Hanna ten Brink, from the Netherlands, for her paper, “The origin of metamorphosis and its consequences for harvested fish populations,” who also worked with EEP. The awards provide financial support for the winners to return to IIASA to continue their research projects. Two young scientists benefited from IIASA funding in 2015, through the new Roger Levien Fellowship and the Petr Aven Fellowship. Natalia Borisevich, of the Siberian Branch of Russian Academy of Science, Russia, was awarded the Petr Aven Fellowship. Borisevich worked in the Ecosystems Services and Management Program on a project estimating the economic value of ecosystem services provided by protected areas. Zhimin Mao, of the Pardee RAND Graduate School, was awarded the first Roger Levien Fellowship, enabling her to work on air pollution in China in the Mitigation of Air Pollution and Greenhouse Gases Program. There were 14 postdoctoral researchers at IIASA in 2015, funded by different sources. The Postdoctoral Program allows these early‑career scientists to research a topic related to the scientific agenda at IIASA and hone their skills in systems analysis. Artem Baklanov (ASA, Russia) analyzed social dilemmas to help individuals learn, though interaction, how to cope with behavioral uncertainty, understand the interests of others, and adapt to changing social environments. Peter Bednarik (EEP/RPV, Austria) designed a computer game based on the forestry sector which can be used to investigate the conditions under which a “tragedy of the commons” could be avoided. Gergely Boza (EEP, Hungary) worked on two projects; the first examining the strategies plants use to influence microorganisms inhabiting their root systems and the second focusing on evolution and stability of human cooperative behavior. Fulvio Di Fulvio (ESM, Italy) focused on mapping global forest resources and calculating the costs of supplying wood biomass for both material and energy uses. Adam French (ASA/RPV, USA) examined the potential for watersheds in the water-stressed Global South to switch to Integrated Water Resource Management—an integrated, multi-sectoral form of water governance. Daniel Jessie (ASA, USA) worked to introduce a new mathematical approach to understanding the nature of dynamical network processes where standard mathematical tools can only provide analytical solutions in the simplest cases. Christina Kaiser (EEP, Austria) studied competitive and synergistic interactions between soil microbes belonging to different microbial functional groups in a spatially structured system. Pietro Landi (EEP, Italy) studied the effect of the adaptive behavior of single individuals in ecosystems and societies on biodiversity conservation and the sustainable management of fisheries. Luciano Mendes (ESM/MAG, Brazil) embarked on two projects linked to reducing agricultural pollution and optimizing resource use on farms. Luzma Nava Jiménez (WAT, Mexico) examined water governance in river basins which cross the USA/Mexico border, showing that in order to improve water resource sustainability and management both countries need to agree to adapt water resource regimes. Henrik Sjödin, (EEP, Sweden) used mathematical models to show how migration between groups can transform simple, non-cooperative communities into highly cooperative ones. Carl Salk (ESM, USA) worked on the Geo-Wiki citizen science project and assessed the accuracy of volunteers’ responses used for land-cover identification, finding that the majority vote does not always give the correct classification. Matthias Wildemeersch (ASA/ESM, Belgium) applied probability and control theory to network dynamics and robustness to better understand the behavior of large‑scale, complex networks and improve their stability. Sam Hyun Yoo (POP, Republic of Korea) demonstrated that delayed childbearing as well as a reduced number of births per woman is affecting fertility in the Republic of Korea. IIASA workshops, seminars, and conferences take place around the world and provide scientists and policymakers with knowledge exchange and training. A few examples of IIASA workshops in 2015 are presented here. IIASA hosted a major international conference, Systems Analysis 2015, bringing together researchers from around the world to discuss the state and future directions of systems analysis. IIASA and the European Commission’s Joint Research Centre held a joint Summer School, bringing together researchers and policymakers to learn how to best use scientific evidence in policy making. The Inter-Sectoral Impact Model Intercomparison Project cross‑sectoral workshop at IIASA allowed global and regional climate impact modelers to discuss the first results from the latest simulation phase. A scoping workshop for the establishment of an International School of Excellence for Systems Analysis and Systems Science was held at IIASA to discuss how to increase the number and quality of scientists working in integrative systems science. IIASA co-hosted a session at the Global Landscapes Forum on assessing policy impacts across landscapes, at the nexus between agriculture, international trade, biodiversity and emissions. IIASA co-organized the 4th International Workshop on Uncertainty in Atmospheric Emissions which brought researchers from around the world together to discuss accounting and verification of greenhouse gas emissions. As part of the Tropical Futures Initiative, IIASA held a capacity building workshop with the Ministry of Energy and Mineral Resources of Indonesia to start building a decision support system based on IIASA models.